The Ford Ranger has cemented its place in our automotive society as the king of aftermarket upgrades. 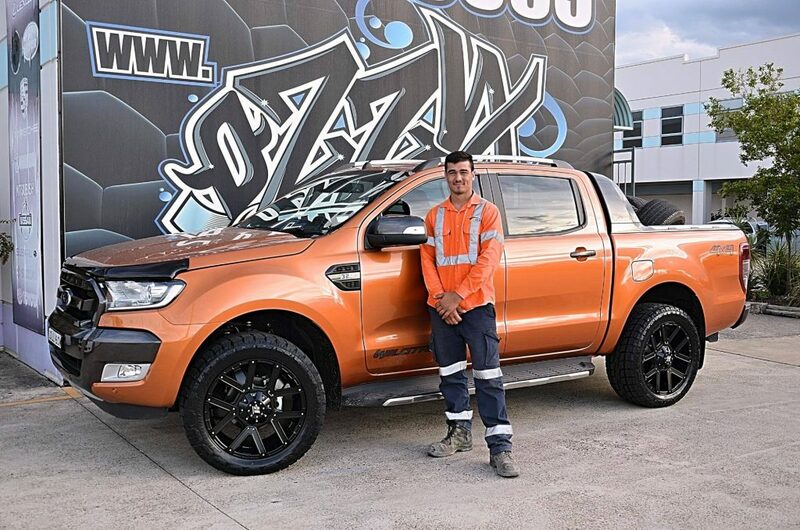 Many Ford Ranger owners have barely got them off the forecourt before thinking about the new wheels, tyres and suspension they want to put on their new car. 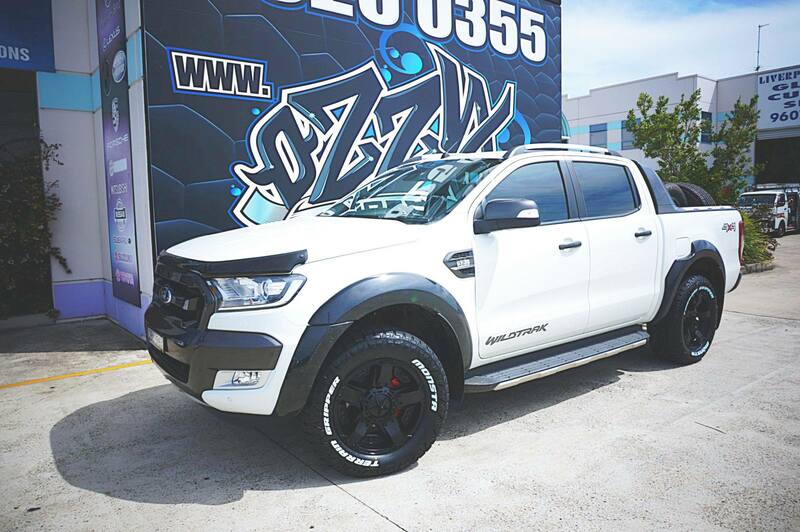 Just a few modifications can really make a difference to a Ford Ranger. Factory standard Rangers tend to look distinctly average when placed next to one that’s had even the simplest of upgrades. The standard stock wheel set up on a Ford Ranger has a high (positive) offset which means the wheels end up sitting quite far inside the wheel arches. When you fit wheels with a lower offset or wider wheels, they get much closer to the edge of the wheel arches which gives it a more aggressive look. You can take this one step further by adding arch flares. 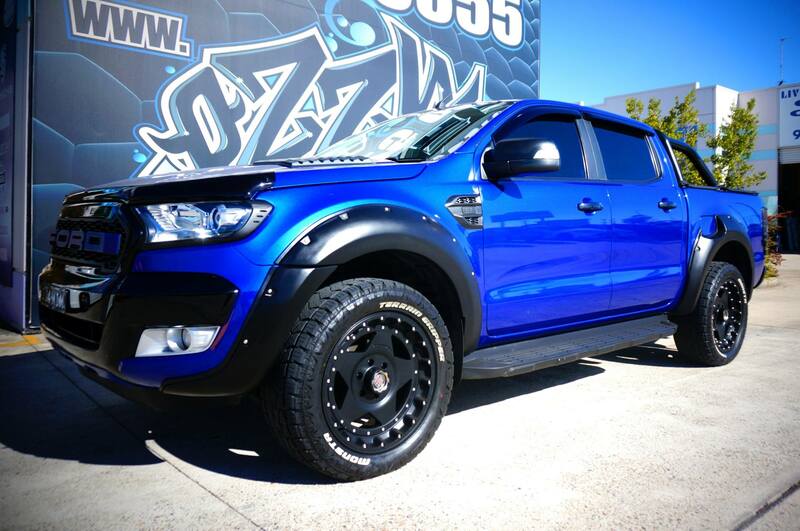 This will allow you to fit even wider tyres or have a lower offset so your Ranger end up looking even meaner! Have a Ford Ranger? then head to Ozzy Tyres for a unique makeover. 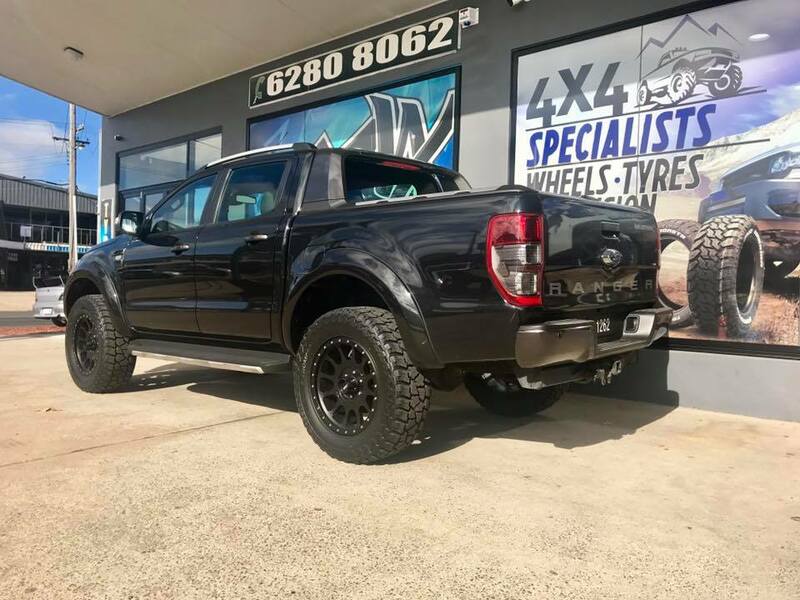 Ford Ranger is our speciality vehicle whether you looking to get a fresh look, upgrade suspensions, wheels or tyres and probably we have done up Ford Rangers more than anybody else. 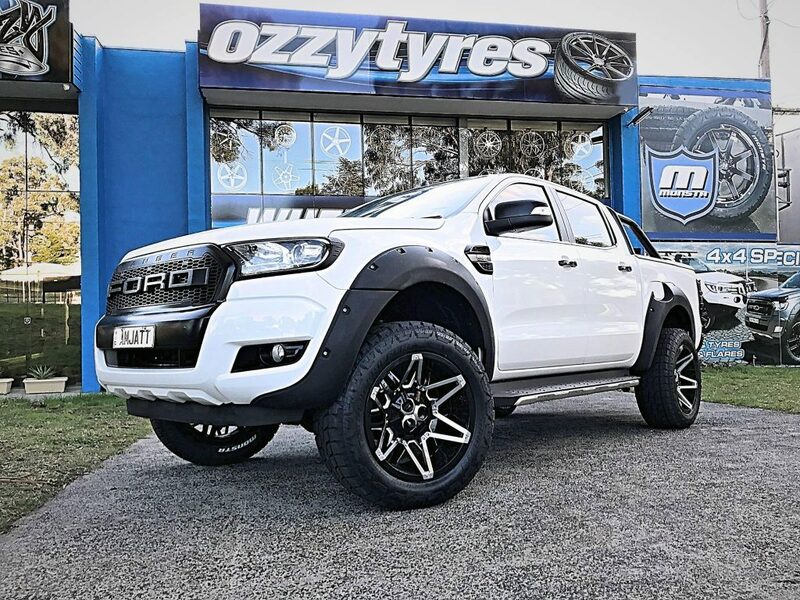 No one competes with Ozzy Tyres in relation to Ford Rangers. We have the largest wheel selection in the market and be assured you will be talking with the most experienced. Don't believe it? Keep scrolling! 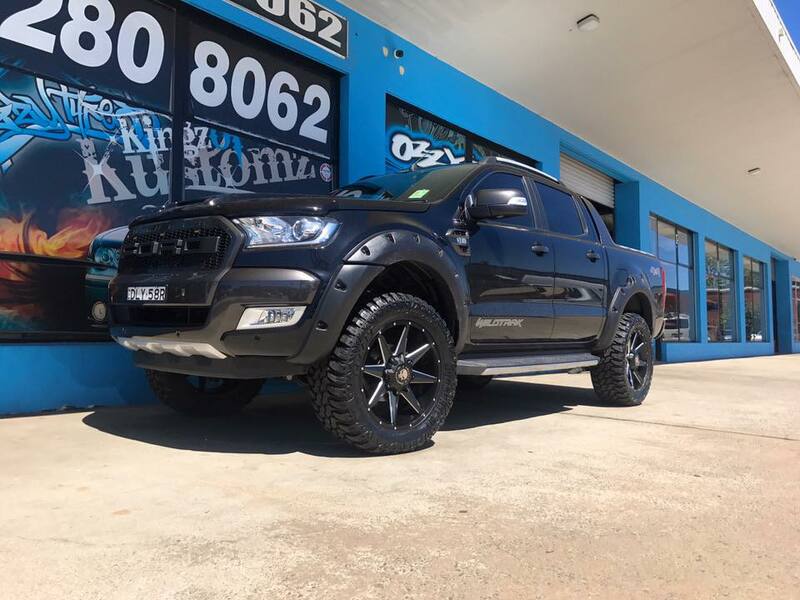 Making us the best and most trusted Ford Ranger specialists and advisors was not quick, it us years of experience to earn the trust but now we are at a stage to be called KINGS of the King, We have 16x9,17x9, 17x10, 18x9, 20x9, 20x10 and 20x12 to suit all ford rangers. Offsets in negative to positive. 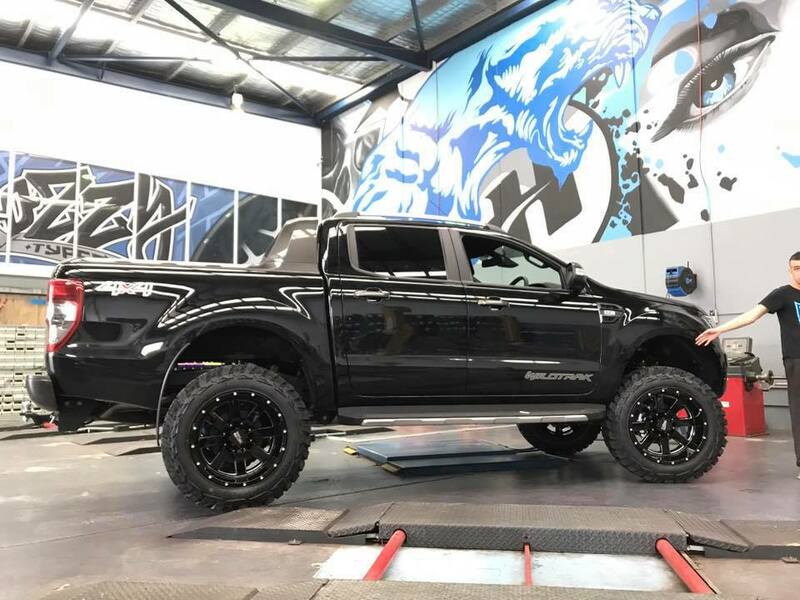 We do all lift kits, and accessories to suit so we can fully transform your ride. Choosing new tyres is normally mostly down to what you need to use your vehicle for. For example, if you spend a lot of time off road, you’d choose mud terrain tyres and if you mostly drive on highways you’d choose a road going tyre. If however, you’re just after the look, you’ve got free reign to choose whichever tyre you like! We should warn you though, if you choose a mud terrain tyre and you drive a lot on the road, prepare for a noisey ride and more stops at the fuel pumps due to the increased resistance on the road. Size – Naturally, you can only go so big without putting a lift kit on your ranger and some wheel arch flares. You should also bear in mind the size of your tyres. If you don’t want to have to buy new tyres, the size of your rims will have to fit what you’re already running on. Of course, if you do want to upgrade your tyres at the same time, Ozzy Tyres provide great value wheel and tyre packages. Style – On a road car, you have the choice of a huge number of styles such as deep dish, mesh and five spoke. You do also get different styles with 4x4s however, they do look very different from normal road wheels. They’re often chunkier with less detail but this is so that they’re stronger off road. That’s not to say that you couldn’t put a bigger road tyre on your Ranger, it would just mean you wouldn’t want to take it off road! Offset – Offset refers to where the central hub sits relative to the inside/outside edge of the rim. A negative offset will mean that the wheel sits further away from the chassis giving the car a wider stance. This can be advantageous off road and allows the opportunity to fit wider tyres. Be aware however, that it’s illegal to have wheels that protrude further than your wheel arches. 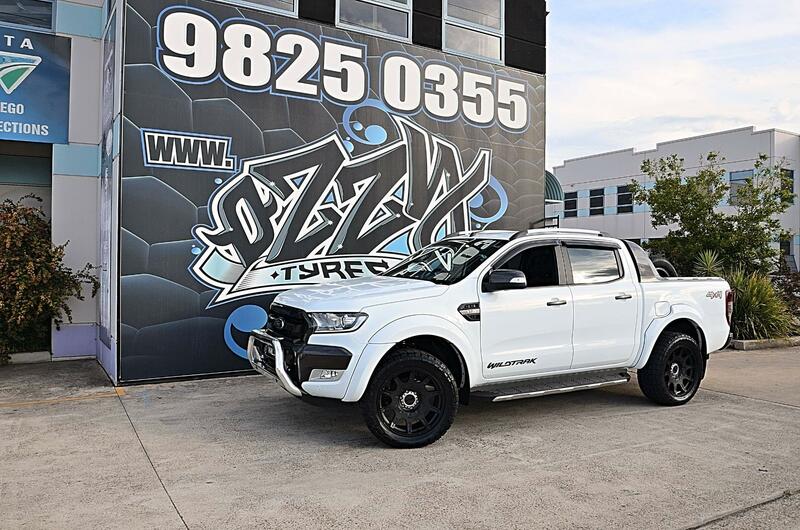 Hussla is the best Australian brand Ford Ranger wheels as they cater for all load ratings, Australian specs and standards when coming to fitments, offsets, load ratings and weather conditions. Don’t forget the styles and colours in these wheels don’t compare to any others. 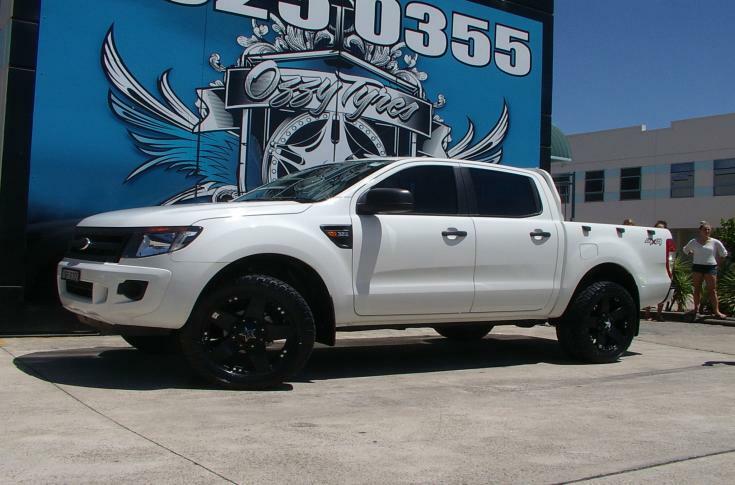 The Ford ranger Hussla wheels are the best value so they will not break the bank and last you a lifetime. 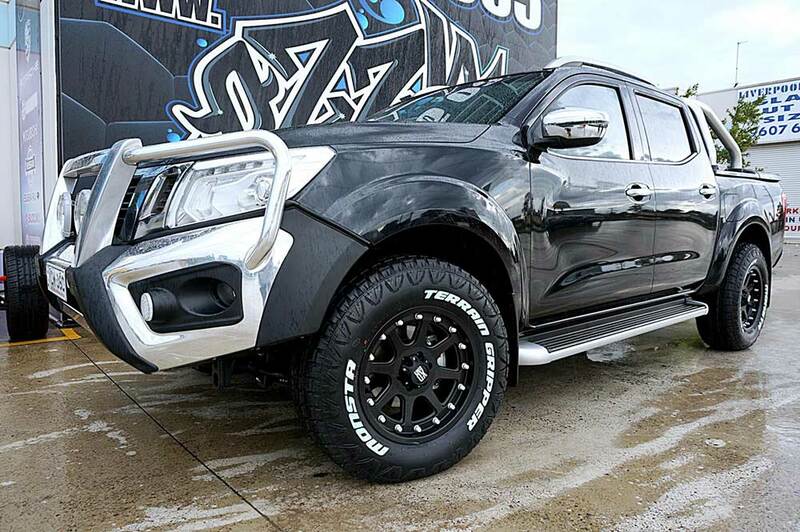 Wrap a set of Monsta tyre son them to suit and you will be ready to hit the streets or off-road. Weather it be the sand dunes or the rocky terrain we will have your Ford Ranger safe on and off the track. 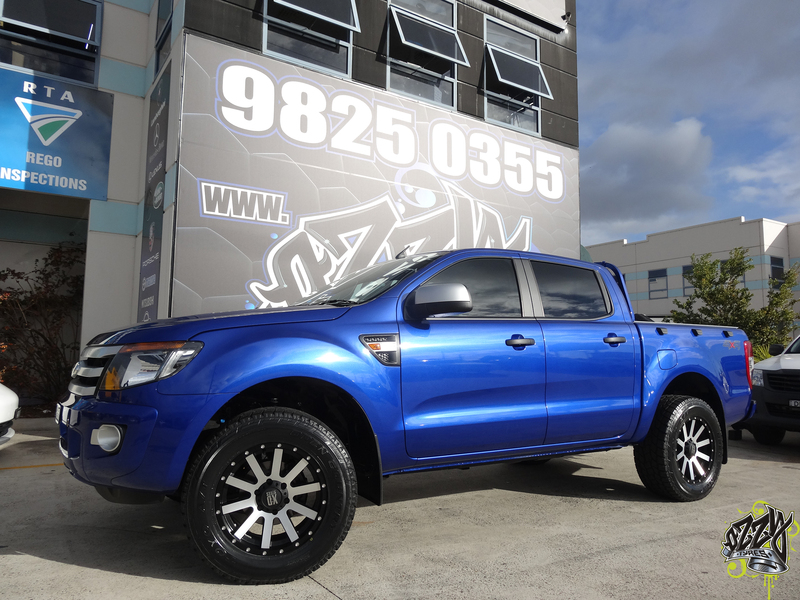 Here are some of the Ford ranger wheels and vehicles we have done to hep you with your choices. 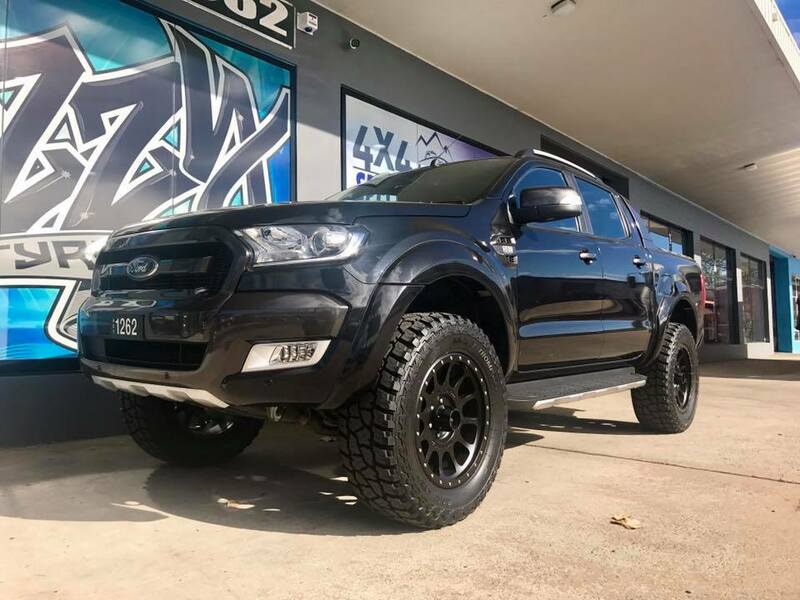 If you are interstate and we do not have an Ozzy store feel free to look at our gallery on Facebook https://www.facebook.com/ozzytyres using the search filters. 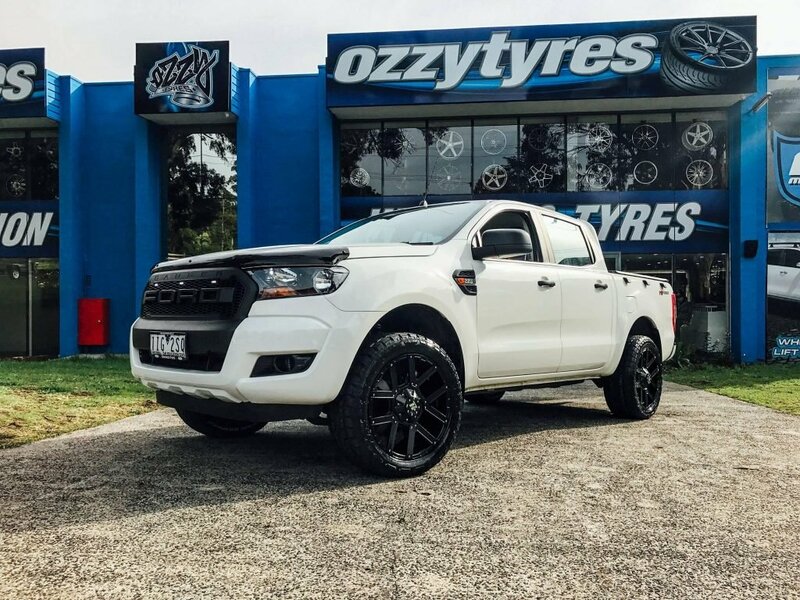 Just type in Ozzy tyres Ford ranger and all images will than come up so you can see how they suit our existing happy and loyal team ozzy customers. 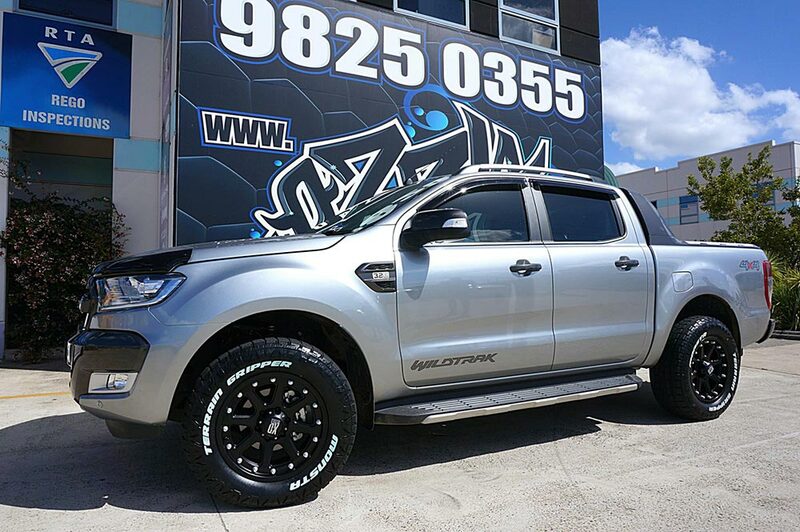 You can get some great deals on all our Ford Ranger wheels and tyres. A huge number of our wheels are often discounted and when you buy wheels and tyres together, we can offer some amazing value packages. We also offer interest free finance on all our products which can help reduce the impact on your wallet. Finally, if you can get down to one of our branches, we’ll fit and balance your new wheels for free using the latest and greatest tech. Plus, we’ll rotate your tyres for free after 10,000kms. 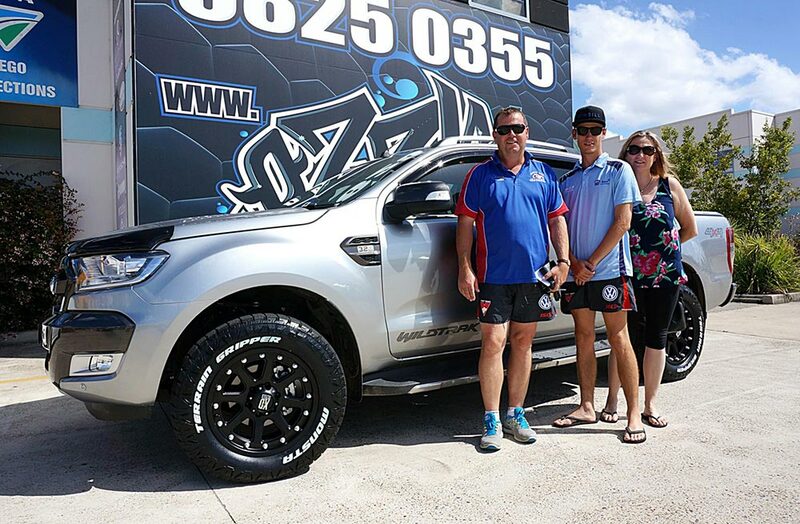 Contact our team now on 1300 699 699 or visit the online store to view a big selection of superior quality wheels & tyres of different sizes and styles at discounted prices. Aside from our top quality products and service, there are a number of other reasons to choose Ozzy Tyres. 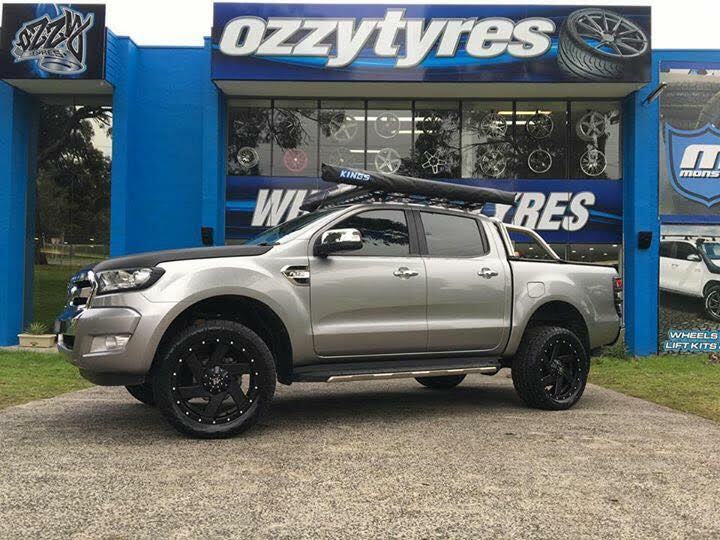 Contact Ozzy Tyres now on 1300 699 699 or visit the online store to view a big selection of top quality Ford Ranger Wheels in different styles at discounted prices.